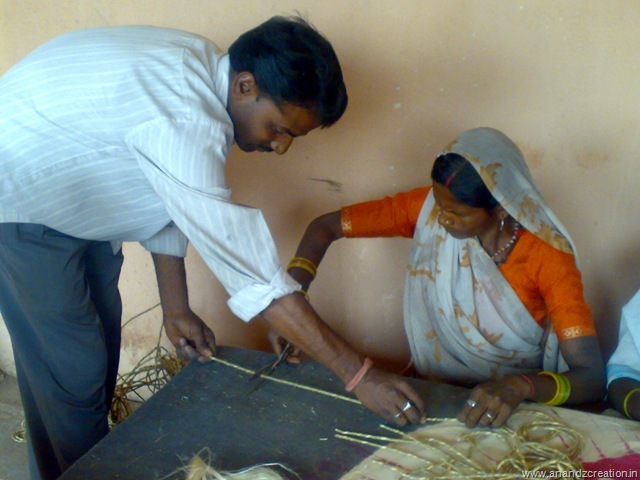 I have finally started a rural craft centre in Jharkhand my native place. Our district is one of the poorest in the countries due to the severe drought that is prevalent throughout the year. 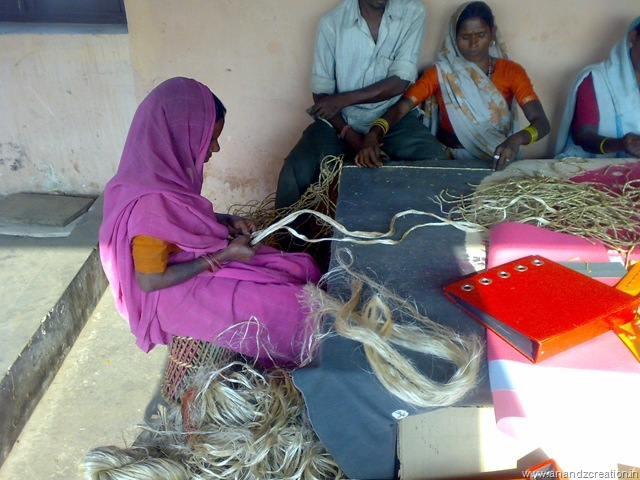 I have started sourcing raw materials like ropes, natural fibers, jute and a few other local materials. We will later move onto the manufacture of motifs and products itself. For the kind of work that I do I think I can do a lot for people there, I can source natural materials for our range of environmentally responsible and sustainable paper products. The problems are a-plenty; red-tapism, lethargic bureaucracy and worst of all naxalism. Lines of communication are also not upto the mark. There is no road freight service from there to Delhi, it will all be sent by train. I guess I have to make the best of what we have as there is never a situation that is “perfect”. I hope this is a beginning of a new chapter at Anand’z Creation.